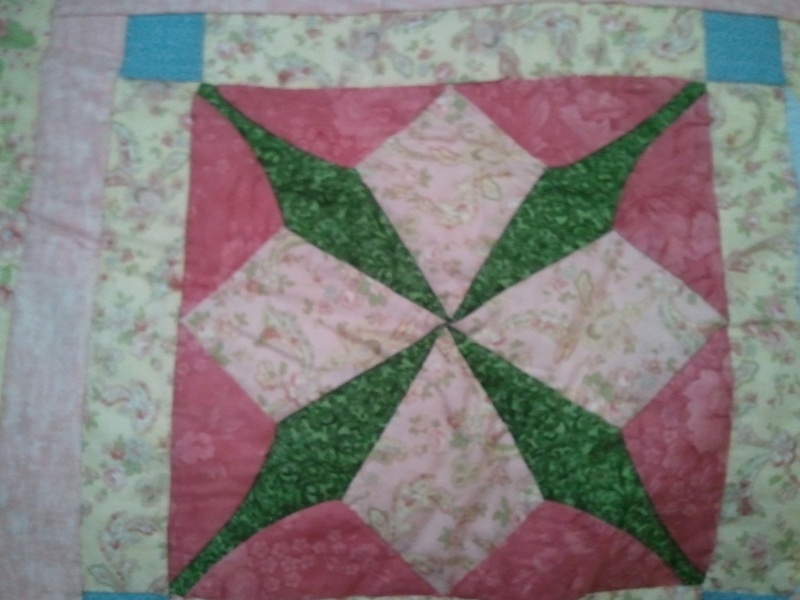 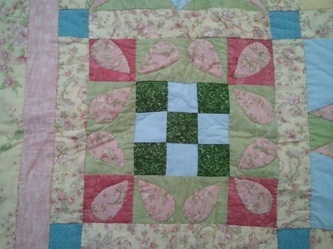 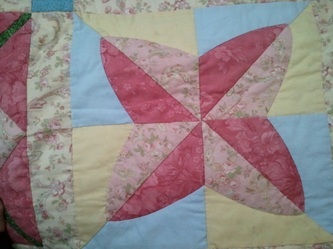 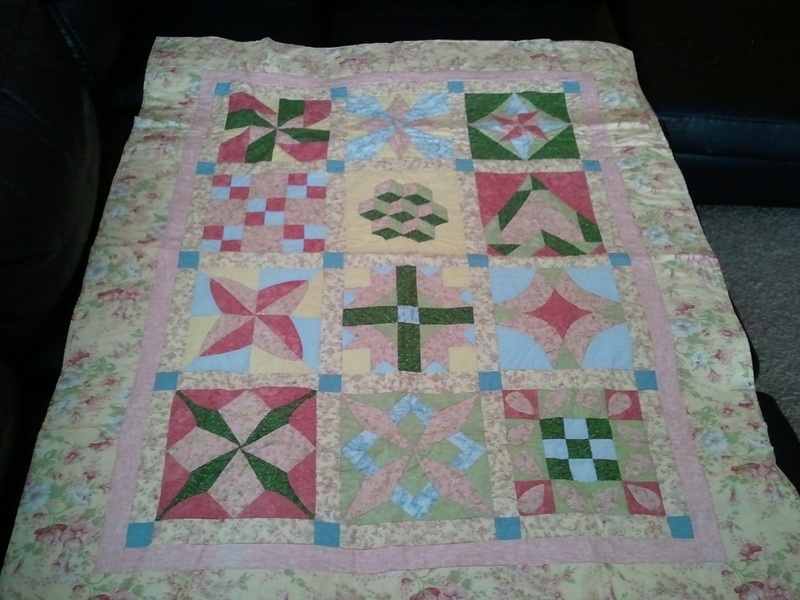 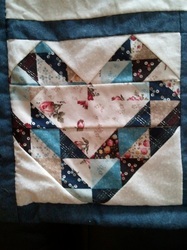 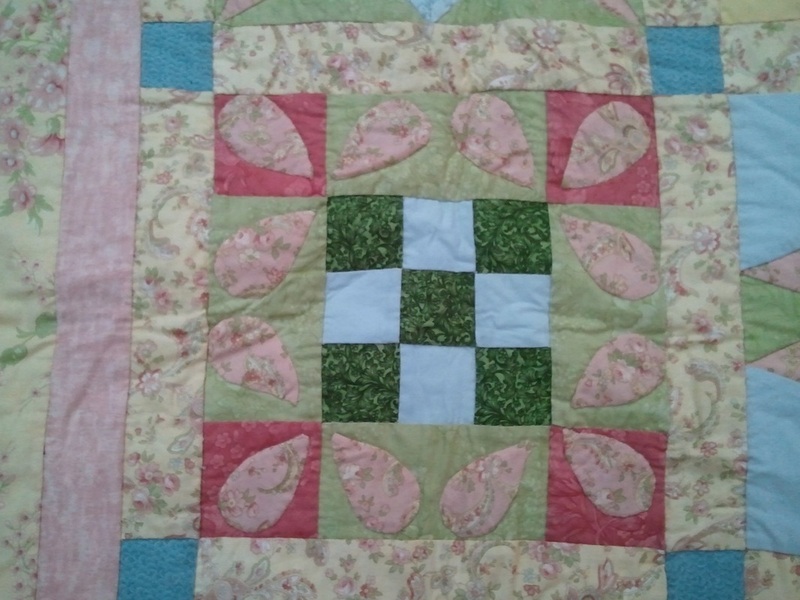 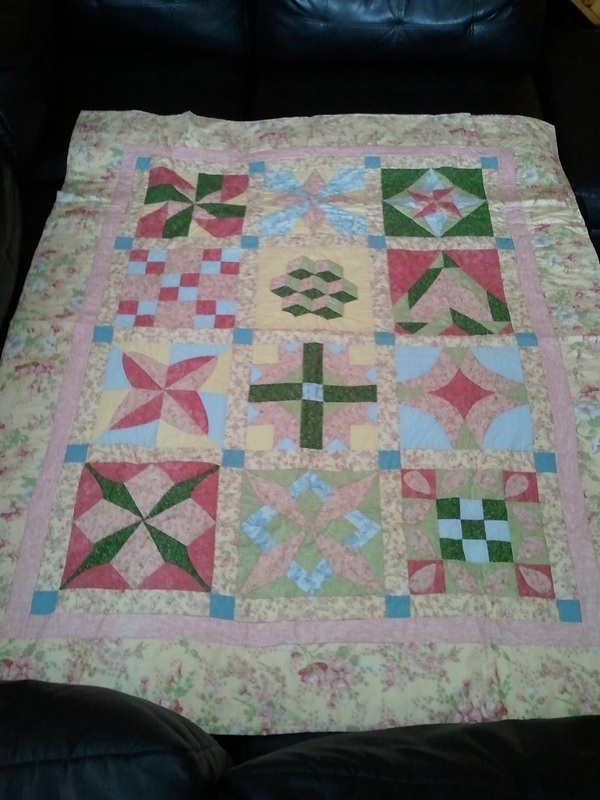 I have always loved the look of quilts and wanted to learn how to make them. 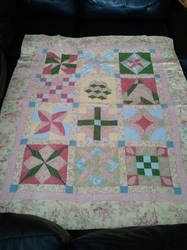 One day I was driving and passed a sign advertising Beginner's Quilting Lessons so I stopped and signed up! The first quilt I made is considered a "Sampler Quilt" because we learned several techniques (one per week) and made a block using that technique. 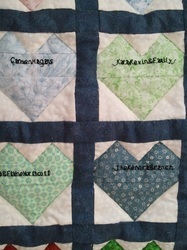 At the end of the 8 week class we sewed them all together to make a quilt top. 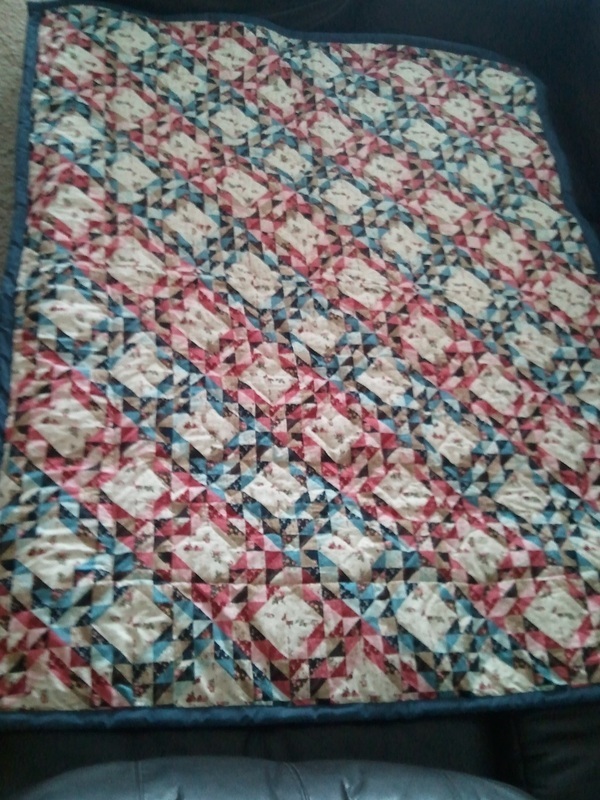 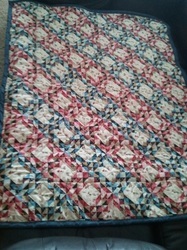 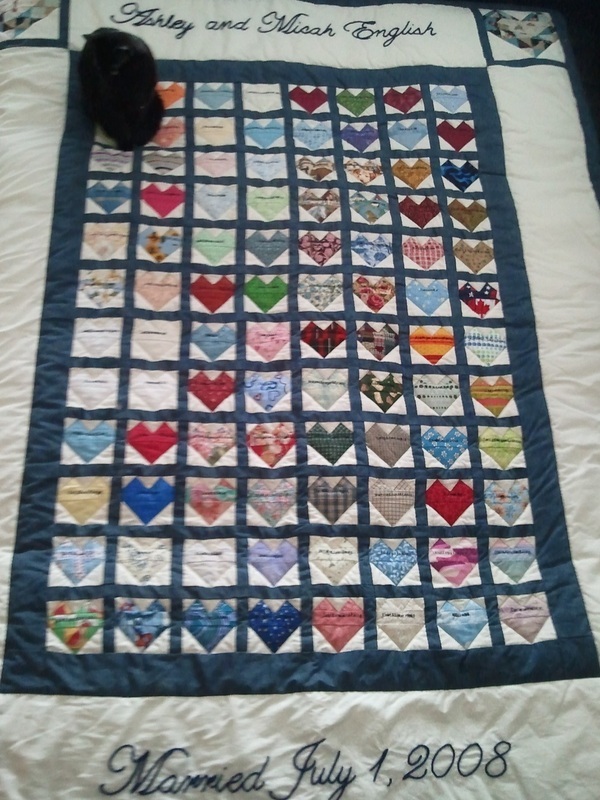 It took me another year and a half to finish the quilt by hand. 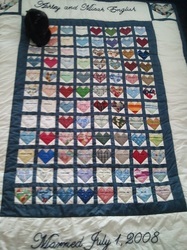 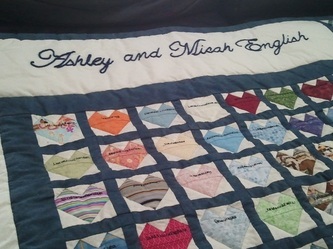 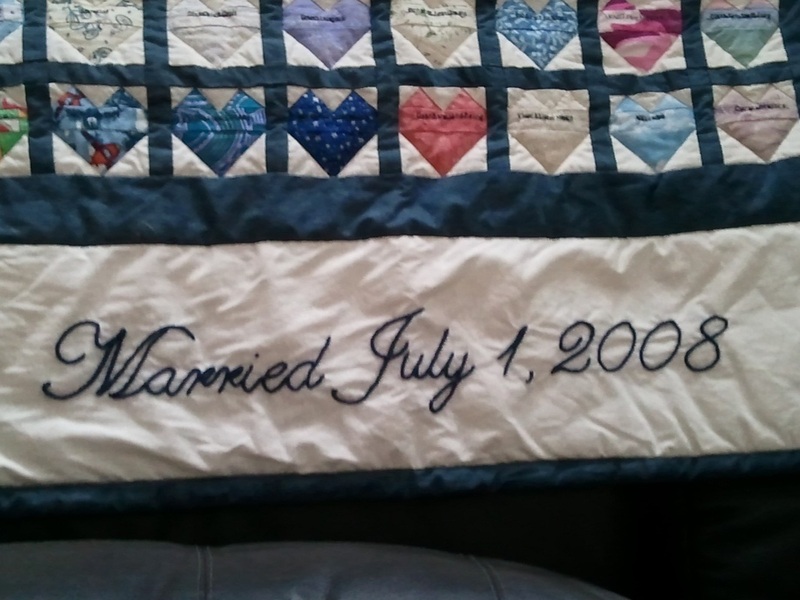 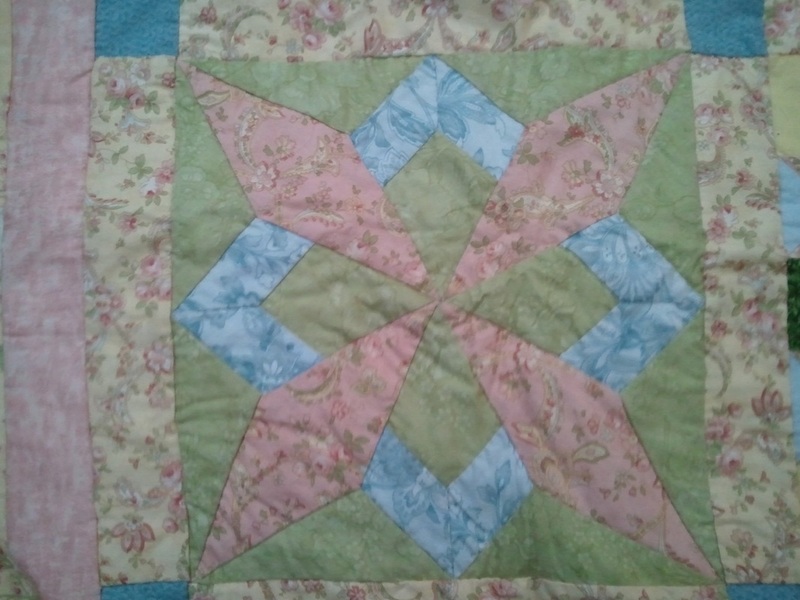 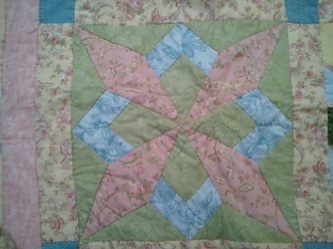 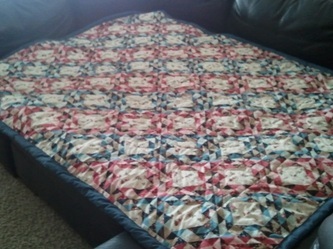 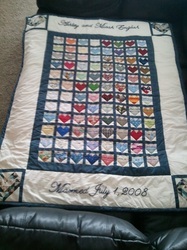 The second quilt I made is called "The Wedding Quilt." 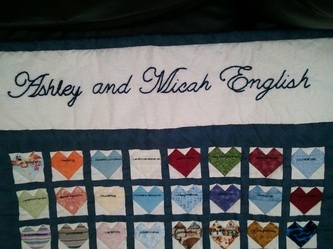 Instead of having a guestbook, I asked all the guests to bring a piece of fabric to the reception. 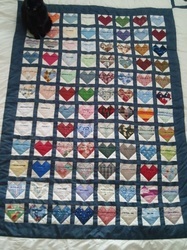 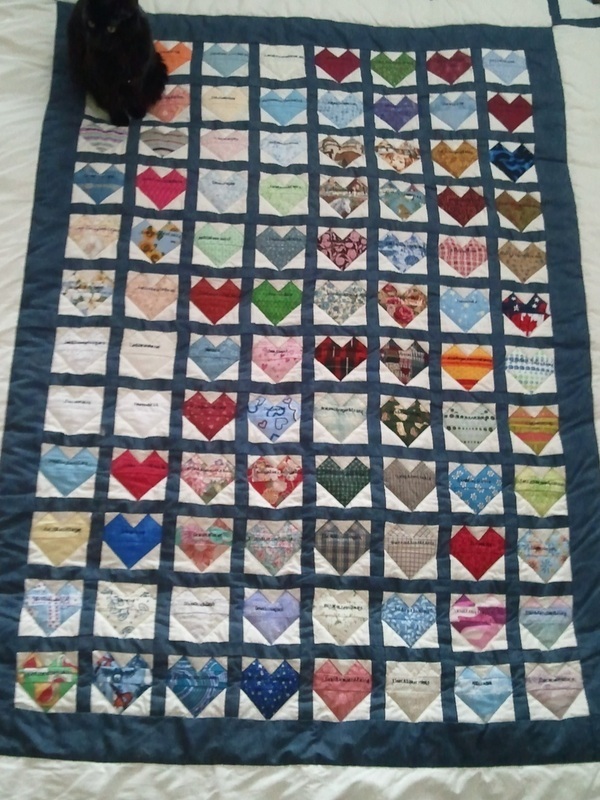 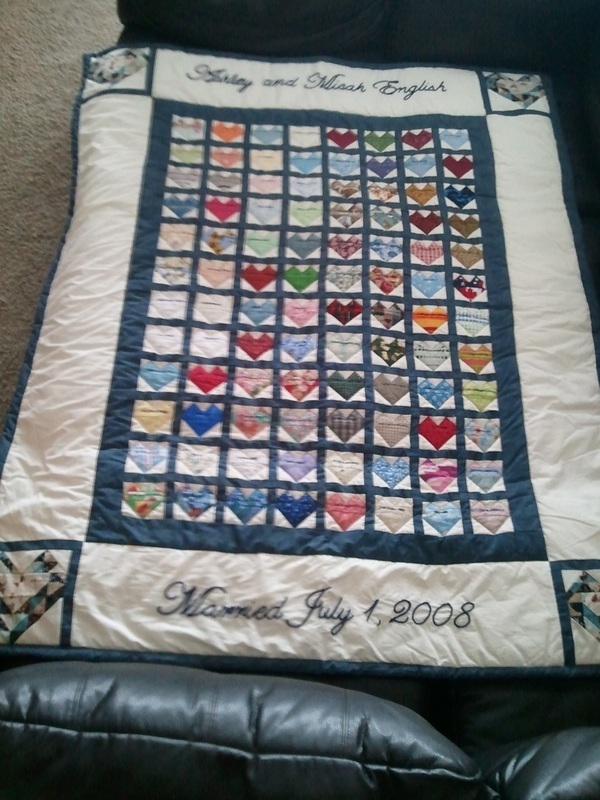 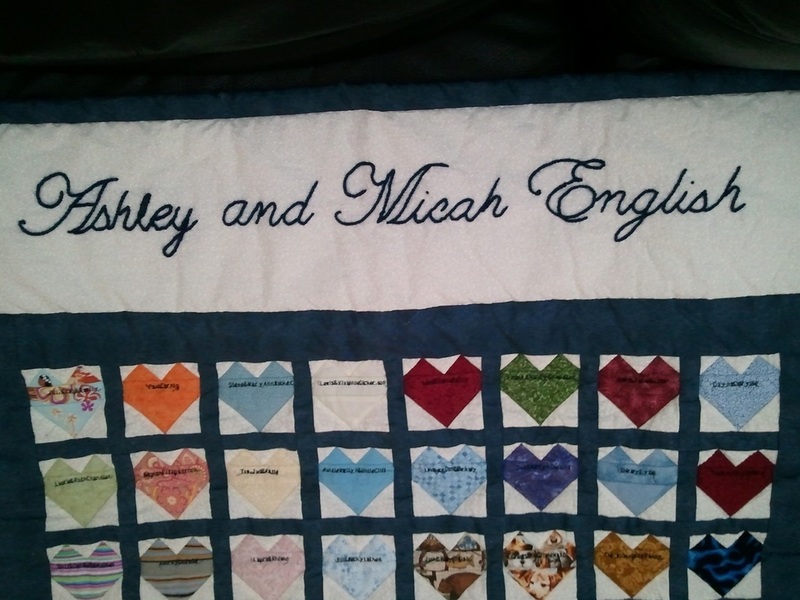 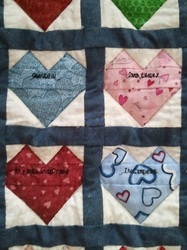 Over many, many months I created a heart out of each fabric piece and used a sewing machine to write the name of the family on the heart. 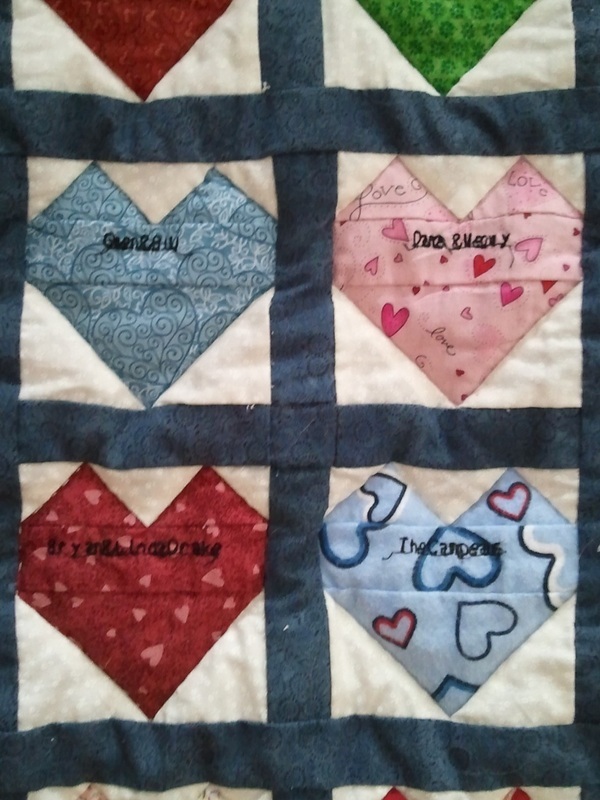 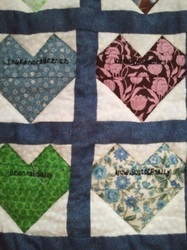 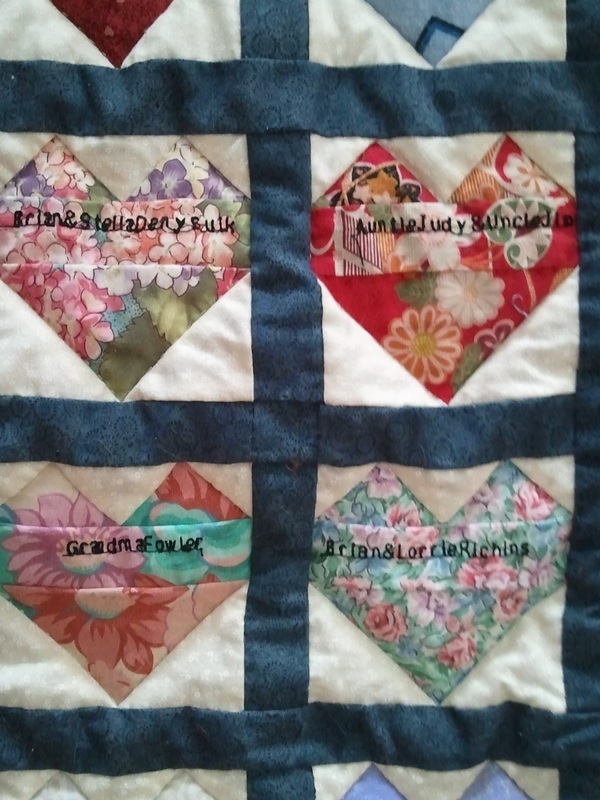 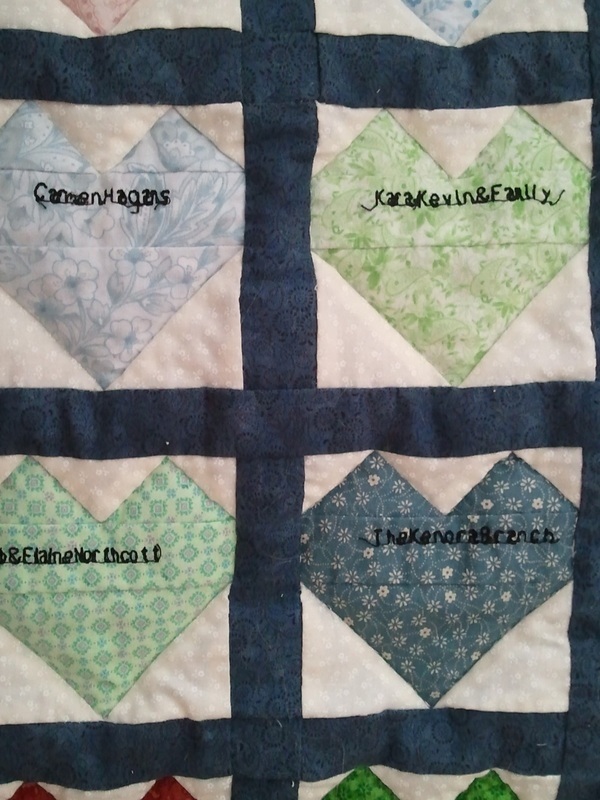 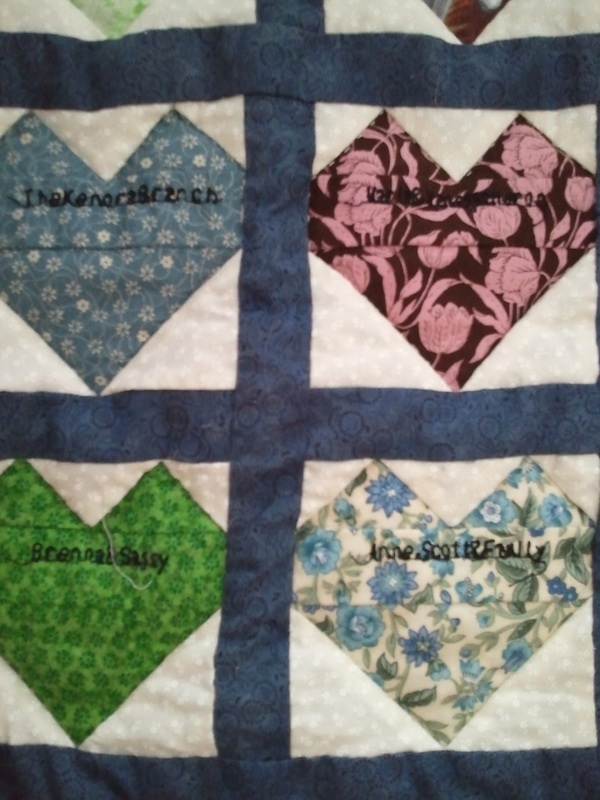 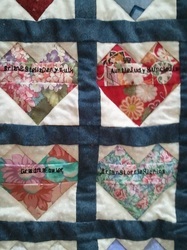 I then taught myself how to do embroidery and added the words and the top and bottom of the quilt. 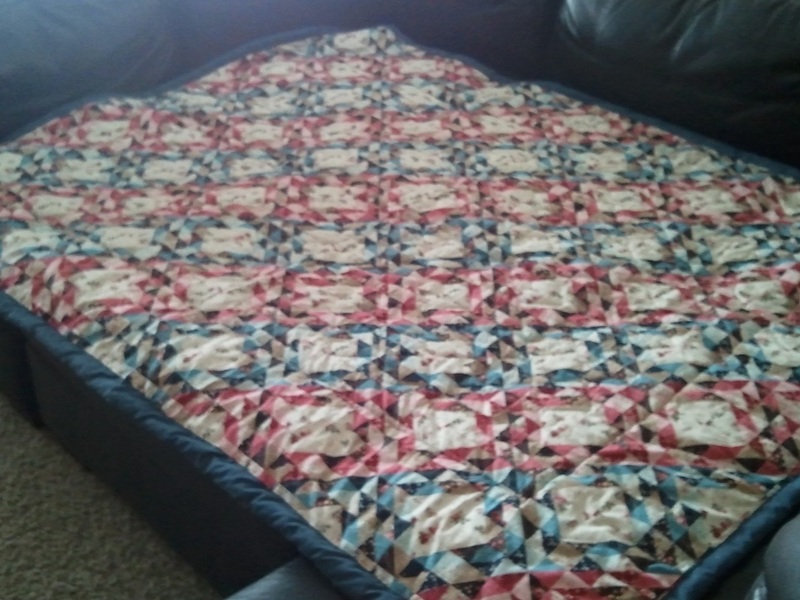 Sewing everything by hand, I finally finished it after 4 years!